Most users have a use with a PDF Reader, though GMail has default support for viewing PDF, it is always a need to have a PDF Reader installed on your system for easier and offline reading of PDF documents, most of the user with minimal use of a PDF Reader install Adobe PDF Reader, will take a lot of disk space, which can otherwise be used for personal use. 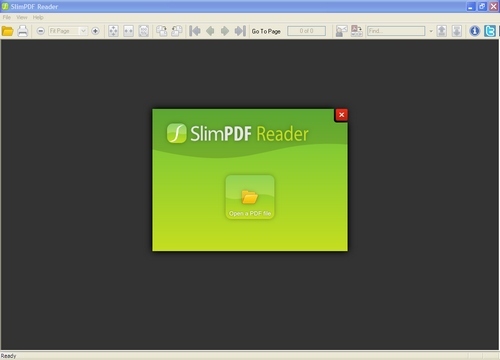 If your the kind of user who occasionally opens PDF documents or simply just reads PDF Documents then you might want to try SlimPDF Reader which is a very light weight PDF Reader that weighs just 1.43 MB. SlimPDF Reader has a very simple interface, as you install you can make the default PDF Reader on your machine or open up SlimReader and next browse and select the PDF File that you would like to read. 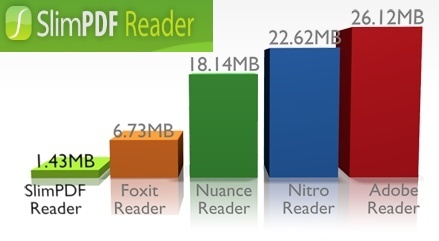 Which PDF Reader do you use ?? Share with us your thoughts on SlimPDF Reader.